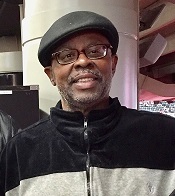 George Lane, Jr., 65, passed away on February 10, 2019. The body will lie in state from 10 a.m.–1 p.m. on Friday, Feb. 15, immediately followed by a funeral service at 1 p.m. at Olivet Baptist Church. Interment will be in Chattanooga National Cemetery, on Monday, Feb. 18, at 10 a.m.